We Buy Houses In San Jose, California – San Jose, California's #1 House Buyer! TheSanJoseBuyer.com is a company that helps homeowners in San Jose, California sell their properties fast. We do fair win-win deals, let you choose your closing date, and pay you straight cash. You won’t have to worry about the costly closing costs involved when using a real estate agent. 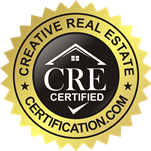 We are real estate investors, not agents, so we will never charge you a commission. If you want to sell your home now, and need fast cash, we’re the ones for the job. Sell your house fast if you live in any of these San Jose, California areas: Downtown, Japantown, West San Jose, Blossom Valley, Naglee Park, Meadowfair, Palm Haven, Seven Trees, Sunol-Midtown, The Alameda Villas, Shasta-Hatchett Park, California Maison, Vermont McKendrie, Garden Alameda, North Willow Glen, Hensley, Rose-Sartorette, Autumn-Montgomery, Walnut Blossom, Holy Oaks, Capewood, Kettman-Pomeroy, Bascom-Forest, Sunrise-Almaden, Magliocco-Huff, Valley View-Reed, Ferrari, Pinoche, Alma, Dentwood-Southbridge, Almaden Meadows, Julian-St. James, Fruitvale College, Carmine Parkmont, and many many more. We’ll buy your home no matter what situation you’re in, or what condition the house is in. This means if the home has fire, or even water damaged, we’ll still make you an offer. We’ll make any necessary repairs for you. Whether you’re behind on payments, in a messy divorce, or just tired of being a landlord, we’re here to help. We purchase homes that nobody else will touch. Let us make you an offer today. Get Your Fast Cash Offer – Click The Button Below To Enter Your Address Today!